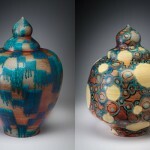 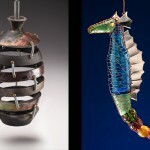 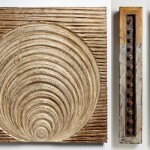 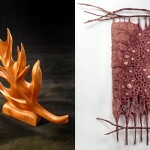 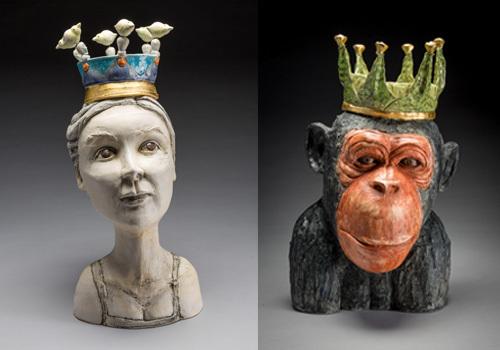 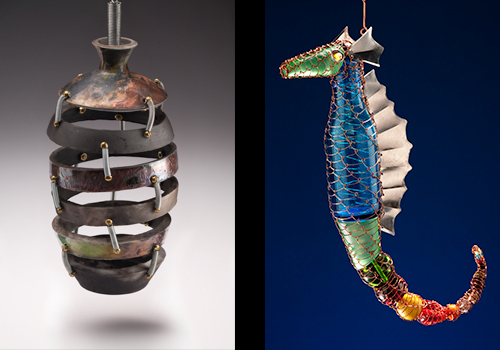 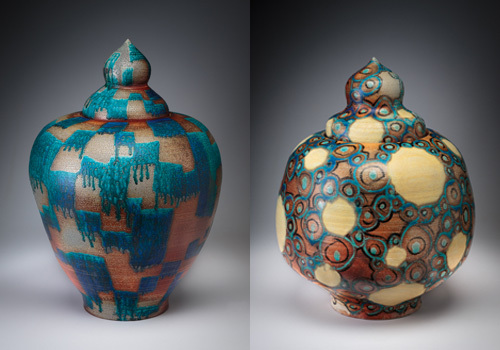 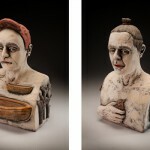 Three examples of wood carving and construction by Kipley Meyer. 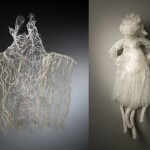 Lattice and Fiber sculpture by Kirstie Tepper. 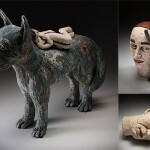 Mixed media bust by Ashley Maxwell. 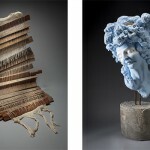 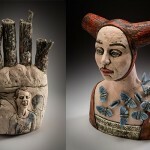 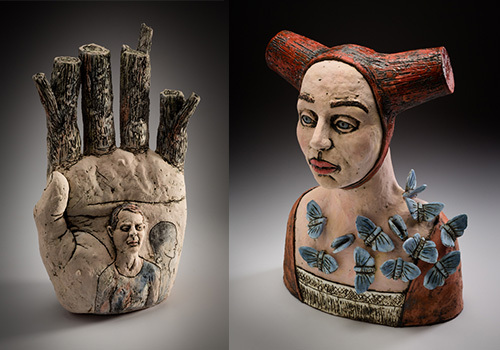 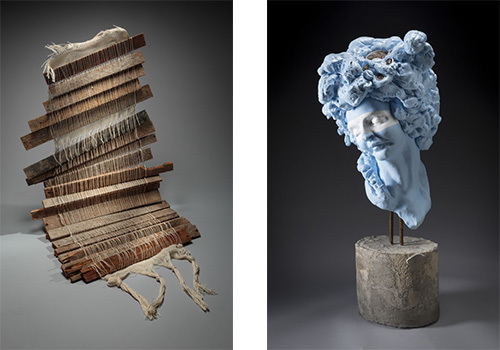 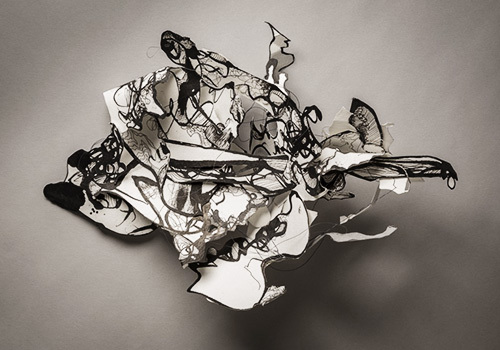 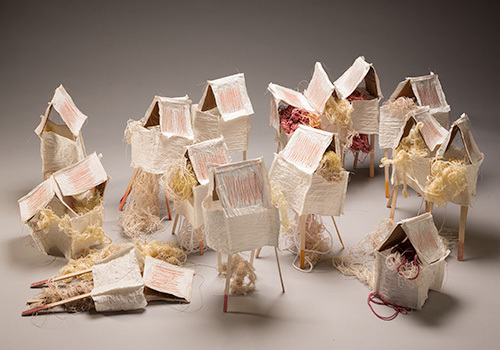 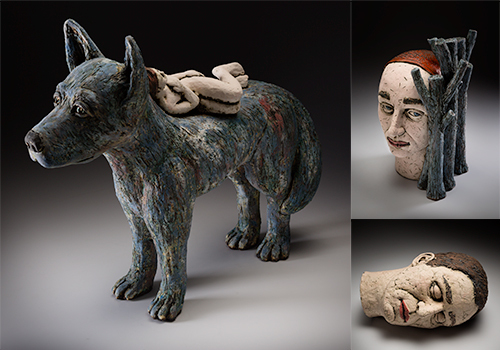 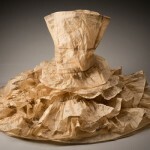 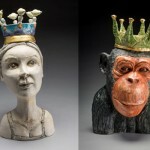 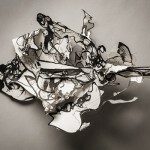 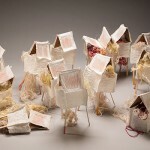 Handmade paper and fiber sculpture by Sophia Frissell. 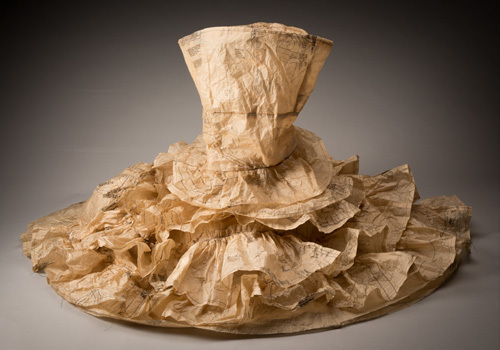 A paper dress sculpture by Princess Jones, made out of old dress patterns. 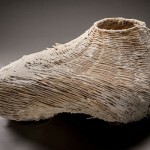 Leaf wood carving by Joy Mathis. 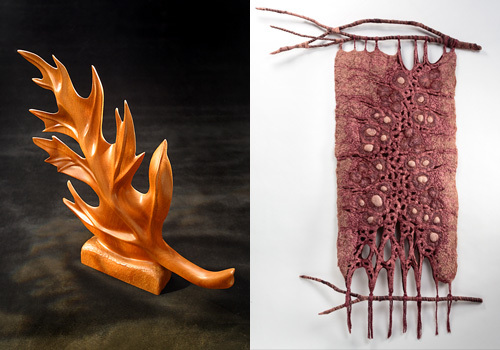 Textile and wood wall hanging by Kathy Colt. 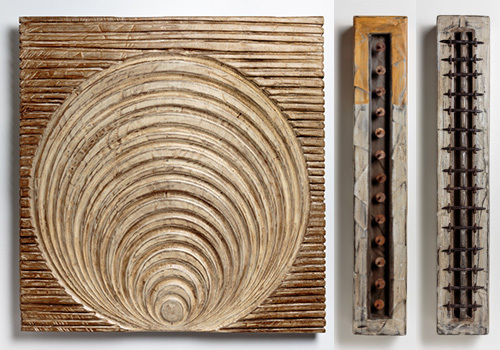 Two works by David Robinson. 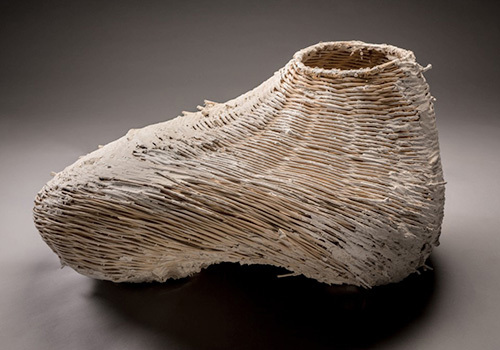 Reed and Plaster sculpture by Zena Zakanycz. 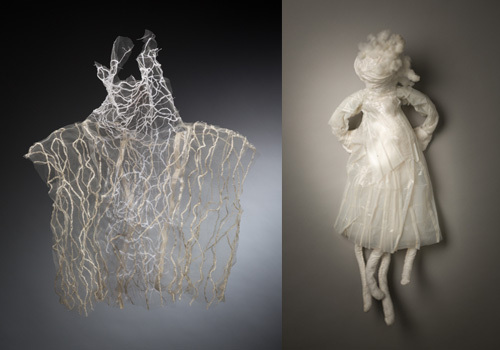 Suspended fiber sculpture by Shaneka King. 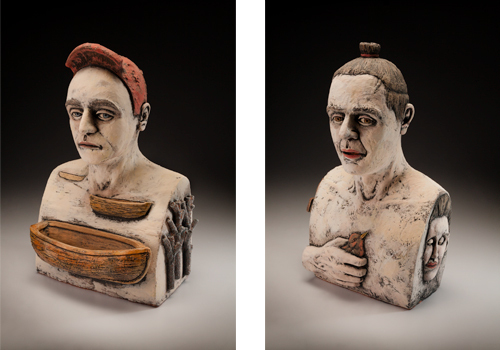 Three pieces by David Robinson.